Location: Georgia occupies the center and the west of Southern Caucasia (also known as Transcaucasia), bordering in the north - Russian Federation, in the east - Republic of Azerbaijan, in the south - Republic of Armenia and in the south west - Turkey. Major cities: Tbilisi; Sokhumi, Batumi, Kutaisi, Rustavi. Ethnic Georgians constitute about 84% of the population. The largest minority communities are the Azeris, Armenians, and Russians, although there are a few small but politically important minority groups as well. Georgian - 83.8%; Azeri - 6.5%; Armenian - 5.7%; Russian - 1.5%; Ossetian - 0.9%; Abkhaz - 0.1%; other - 1.5%. The 2007 budget set revenues at GEL 3.7 billion (approximately USD 2.1 billion) and expenditures at GEL 4 billion (approximately USD 2.3 billion), expecting the GDP growth rate at 7.5% and inflation rate at 6%. 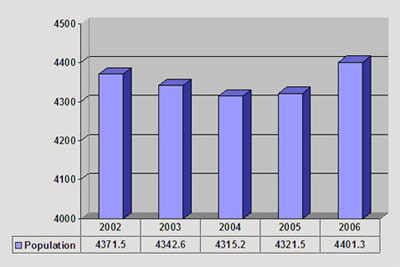 Ministry of Defense: GEL 957.8 million (about USD 566.7 million); original allocation of GEL 513.2 million (about USD 298,3 million) was increased on 1 May 2007. Office of the State Ministry for Civil Integration Issues: GEL 200,000. Georgians, as an ethnic group, identify themselves as Kartveli/Kartvelians and call their land Sakartvelo or land of the Kartvels. Popular tradition ascribed these names to a legendary hero named Kartlos, said to be the father of all Georgians; scholars, however, agree that the term is derived from the Karts, one of the proto-Georgian tribes that gradually emerged as a dominant group. Georgians are known to the Armenians as virk and the Persians called them gurg/gurdzhi, which was later corrupted into the Turkish g�rc�. Russian Gruziia and Western European Georgia were derived from the Persian and Turkish words gurg/g�rc�. However, popular theories purport that the name stems either from the widespread veneration of St. George, who is considered the patron of Georgia, or from the Greek georgos (farmer) because when the Greeks first reached the country they encountered a developed agriculture in ancient Colchis. With the notable exception of the fertile plain of the Kolkhida Lowland (ancient Colchis) the Georgian terrain is largely mountainous, and more than a third is covered by forest or brushwood. There is a remarkable variety of landscape, ranging from the subtropical Black Sea shores to the ice and snow of the crest line of the Caucasus. Such contrasts are made more noteworthy by the country's relatively small area. The rugged Georgia terrain may be divided into three bands, all running from east to west. To the north lies the wall of the Greater Caucasus range, consisting of a series of parallel and transverse mountain belts rising eastward and often separated by deep, wild gorges. Spectacular crest-line peaks include those of Mount Shkhara, which at 16,627 feet (5,068 metres) is the highest point in Georgia, and Mounts Rustaveli, Tetnuldi, and Ushba, all of which are above 15,000 feet. The cone of the extinct Mkinvari (Kazbek) volcano dominates the northernmost Bokovoy range from a height of 16,512 feet. A number of important spurs extend in a southward direction from the central range, including those of the Lomis and Kartli (Kartalinian) ranges at right angles to the general Caucasian trend. From the ice-clad flanks of these desolately beautiful high regions flow many streams and rivers. The southern slopes of the Greater Caucasus merge into a second band, consisting of central lowlands formed on a great structural depression. The Kolkhida Lowland, near the shores of the Black Sea, is covered by a thick layer of river-borne deposits accumulated over thousands of years. Rushing down from the Greater Caucasus, the major rivers of western Georgia, the Inguri, Rioni, and Kodori, flow over a broad area to the sea. The Kolkhida Lowland was formerly an almost continually stagnant swamp. In a great development program, drainage canals and embankments along the rivers were constructed and afforestation plans introduced; the region has become of prime importance through the cultivation of subtropical and other commercial crops. To the east the structural trough is crossed by the Meskheti and Likhi ranges, linking the Greater and Lesser Caucasus and marking the watershed between the basins of the Black and Caspian seas. In central Georgia, between the cities of Khashuri and Mts'khet'a (the ancient capital), lies the inner high plateau known as the Kartli (Kartalinian) Plain. Surrounded by mountains to the north, south, east, and west and covered for the most part by deposits of the loess type, this plateau extends along the Kura (Mtkvari) River and its tributaries. The southern band of Georgian territory is marked by the ranges and plateaus of the Lesser Caucasus, which rise beyond a narrow, swampy coastal plain to reach 10,830 feet in the peak of Didi-Abuli. The Caucasus Mountains protect Georgia from cold air intrusions from the north, while the country is open to the constant influence of warm, moist air from the Black Sea. Western Georgia has a humid subtropical, maritime climate, while eastern Georgia has a range of climate varying from moderately humid to a dry subtropical type. There also are marked elevation zones. The Kolkhida Lowland, for example, has a subtropical character up to about 1,600 to 2,000 feet, with a zone of moist, moderately warm climate lying just above; still higher is a belt of cold, wet winters and cool summers. Above about 6,600 to 7,200 feet there is an alpine climatic zone, lacking any true summer; above 11,200 to 11,500 feet snow and ice are present year-round. In eastern Georgia, farther inland, temperatures are lower than in the western portions at the same altitude. Western Georgia has heavy rainfall throughout the year, totaling 40 to 100 inches (1,000 to 2,500 millimetres) and reaching a maximum in autumn and winter. Southern Kolkhida receives the most rain, and humidity decreases to the north and east. Winter in this region is mild and warm; in regions below about 2,000 to 2,300 feet, the mean January temperature rarely falls below 32 F (0 C), and relatively warm, sunny winter weather persists in the coastal regions, where temperatures average about 41 F (5 C). Summer temperatures average between 71 and 90 F (22-35 C). In eastern Georgia, precipitation decreases with distance from the sea, reaching 16 to 28 inches in the plains and foothills but increasing to double this amount in the mountains. The southeastern regions are the driest areas, and winter is the driest season; the rainfall maximum occurs at the end of spring. The highest lowland temperatures occur in July (between 80 and 90 F [30-35 C]), while average January temperatures over most of the region range from 32 to 37 F (0 to 3 C). In 1991, Georgia, after being governed by Soviet constitutions for seventy years, reinstated its 1921 pre-Soviet constitution. A constitutional commission was formed in 1992 to draft a new constitution, and, after a protracted dispute over the extent of the authority to be accorded the executive, a new document was adopted in 1995. The head of state is the president, who is given extensive authority. A prime minister and ministers are appointed by the president. The Cabinet of Georgia consists of four State Ministers and thirteen Ministers. The legislature consists of a 235-member Parliament. The judicial system includes district and city courts, Constitutional Court and Supreme Court. Georgia became a member of the United Nations in 1992, joined the Commonwealth of Independent States in 1993, and became 41st member state of the Council of Europe in 1999. Georgians celebrate Independence Day on May 26 to commemorate the nation's brief break from the Russian rule in 1918-1921, in the aftermath of World War I. After being under Russian control since 1801, Georgia became a member of the short-lived Transcaucasian Federation (with Armenia and Azerbaijan) before declaring its independence in 1918. 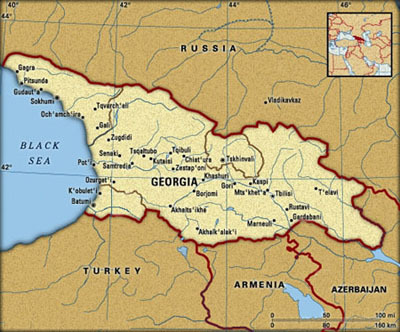 Georgia then remained independent until the Red Army�under orders from Joseph Stalin�stormed the country in 1921 and annexed Georgia as part of the Soviet Union. Georgia did not achieve full independence again until 1991, after the collapse of the Soviet Union. The Assumption of the Blessed Virgin Mary (Mariamoba) is celebrated as a public holiday on August 28 in Georgia. Usually celebrated on August 15 in Roman Catholic communities worldwide, this day commemorates the assumption of the Blessed Virgin into heaven. In Georgia, church ceremonies and feasts mark the event. Celebrated on November 23, this Christian holiday is considered a day of national pride in the Georgia. Families celebrate by giving parties in their homes. A large festival is held in the ancient capital city, Mtskheta, which is an active religious center. Crowds flock to the city's great cathedral, where many attend solemn religious services. January 1 (New Year), January 7 (Christmas), January 19 (Epiphany), March 3 (Mother's Day), April 7-9 (Easter), April 9 (Memorial Day of the 1989 Massacre; Restoration of Independence Day), May 26 (Independence Day), August 28 (Mariamoba�St. Mary's Day), October 14 (Svetitskhovloba), November 23 (Giorgoba�St. George's Day). Ronald Grigor Suny, The Making of the Georgian Nation (1994), traces national formation in the 19th Century and deals extensively with Georgia in the Soviet period. Alexander Mikaberidze, Historical Dictionary of Georgia (2007) contains some 800 entries on Georgian history, culture, and politics since ancient times to modern era. Geography, economy, culture, and history of the region are explored in Glenn E. Curtis (ed.  ), Armenia, Azerbaijan, and Georgia: Country Studies (1995). Roger Rosen, The Georgian Republic (1992) and Georgia: A Sovereign Country of the Caucasus (2004), essentially guidebooks, these books provide a wealth of information on the country, its traditions, and its people. Another travel book, focusing on immediate encounters with the people of modern Georgia, is Mary Russell, Please Don't Call It Soviet Georgia: A Journey Through a Troubled Paradise (1991). David Braund, Georgia in Antiquity: A History of Colchis and Transcaucasian Iberia, 550 BC-AD 562 (1994), chronicles the history of ancient Colchis, Iberia, and Lazica. David Marshall Lang, The Last Years of the Georgian Monarchy, 1658-1832 (1957), is a classic study of the period in question. Another book by Lang, A Modern History of Soviet Georgia (1962, reprinted 1975), is a bit dated but useful for its survey of Georgia's recent history and the impact of Russian and European ways on the Caucasian peoples. W.E.D. Allen, A History of the Georgian People from the Beginning Down to the Russian Conquest in the Nineteenth Century (1932, reprinted 1971), is a classic study on the Georgian state and national formation, insightfully keeping in perspective the contemporary history of neighboring states.